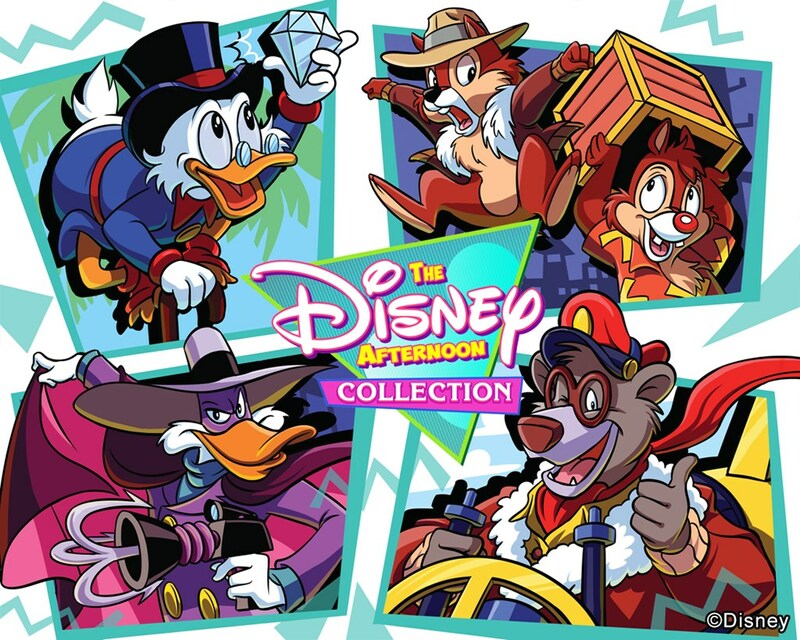 Capcom, a leading worldwide developer and publisher of video games announced The Disney Afternoon Collection, a compilation of six games that feature beloved Disney TV characters from the 80s and 90s in fun-filled adventures. The beautifully restored classic games feature crisp 1080p HD support and include all-new modes that can be enjoyed by first-time players and long-time fans. TheDisney Afternoon Collection will be available as a digital download across North America and Europe for $19.99 / £15.99 / €19.99 starting on April 18, 2017 on PlayStation®4 computer entertainment system, Xbox One and Windows PC. 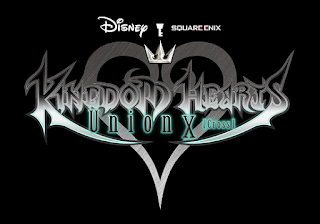 Prepare for ResurrXion. Prepare for the X-MEN! A bright new tomorrow is coming for the Children of the Atom as the X-Men race full speed into ResurrXion! Today, Marvel is excited to release its first trailer timed with the upcoming release of all-new X-titles – X-MEN GOLD, X-MEN BLUE, GENERATION X, WEAPON X, ICEMAN, JEAN GREY, CABLE, OLD MAN LOGAN, ALL-NEW WOLVERINE and ASTONISHING X-MEN! 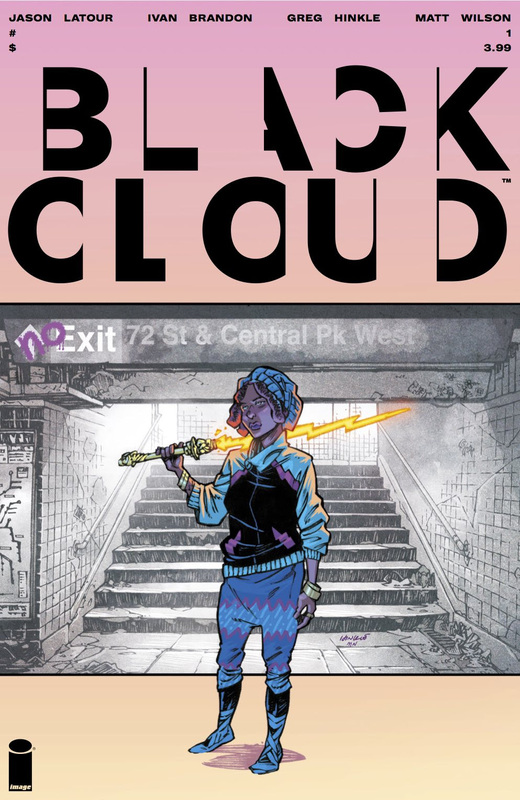 Launching this spring in yourlocal comic shop, these new, ongoing series bring fans a new beginning for these merry mutants – one that is sure to please fans old and new! You asked for it, you got it! The ResurrXion of the X-Men is here! This is just the beginning! The future of the X-Men is bright, and it’s all beginning this spring as part of Marvel’s ResurrXion bringing you a brand-new line of X-Men titles. Be there when it all kicks off in April when both X-MEN GOLD #1 and X-MEN BLUE #1 come to comic shops and digital devices everywhere! 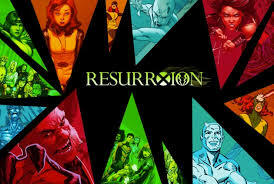 For more information on Marvel’s ResurrXion, visit Marvel.com/resurrxion. In the wake of war with the Inhumans, the X-Men regroup for a new era of action and excitement! Experience the next bold chapter in the saga of Marvel's mutant heroes and it all begins this spring in your local comic book shop. Nintendo Switch is Headed to a Party Near You! Nintendo is partnering with GameTruck to bring the Nintendo Switch console and fun games like 1-2-Switch, The Legend of Zelda: Breath of the Wild and Mario Kart 8 Deluxe to parties everywhere. Starting today, more than 100 GameTruck vehicles will feature playable versions of the 1-2-Switch and The Legend of Zelda: Breath of the Wild games on Nintendo Switch systems, with Mario Kart 8 Deluxe being added to the fleet at the end of April. All the trucks will be wrapped in fun designs representing 1-2-Switch and are available to reserve now at https://www.gametruck.com/. The Nintendo Switch promotion will last through June 20. GameTruck delivers a fun video game experience to major metropolitan areas in 30 states around the country. The trucks bring gaming experiences directly to private consumer events and parties with more than 100 trucks fully equipped with the latest video games. There are even game coaches on board to give tips, tricks and training. The trucks roll right up to the location of the party to provide a no-hassle way for party planners to give their attendees a fun experience they’ll never forget. With multiple Nintendo Switch systems on every trailer, party-goers will be able to play together in all three Nintendo Switch configurations: TV mode, tabletop mode and handheld mode. Games like 1-2-Switch and Mario Kart 8 Deluxe will bring friendly competition and fun to parties of all types. For more information about GameTruck, visit https://www.gametruck.com/. 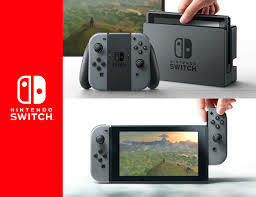 For more information about Nintendo Switch, visit http://www.nintendo.com/switch/. 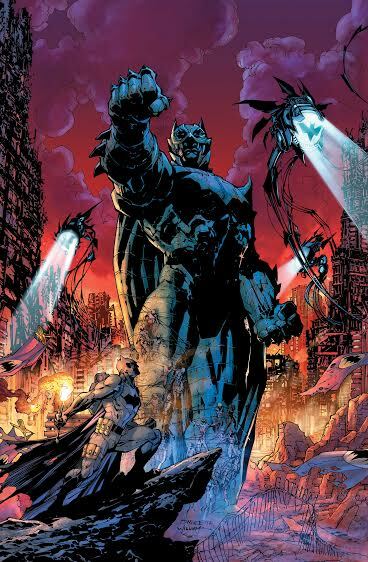 Spearheaded by Snyder, these new stories will reveal the dark underbelly of the DC Universe. The mysteries of THE FORGE and THE CASTING will hit shelves on June 14 and July 12, respectively, and break new ground in DC's publishing line. Continue to check dccomics.com/blog/press for breaking news, updates and panel schedules connected to this story and more at WonderCon, Fan Expo Dallas and C2E2 over the coming months. A United States Appeals Court confirmed that the Nintendo 3DS system does not use technology covered in a patent asserted by Tomita Technologies USA, Inc. and Tomita Technologies International, Inc. The Court specifically confirmed that Nintendo 3DS includes technology that is significantly different from the patented technology. 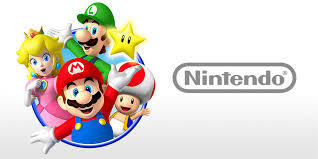 This decision follows an earlier ruling in April 2016 by Judge Jed Rakoff in New York Federal Court that Nintendo does not infringe the patent, and vindicates Nintendo’s consistent position in this case over the last six years. This decision is the second in Nintendo’s favor by the Appeals Court, which first reversed a 2013 judgment against Nintendo. The decision in Nintendo’s favor also follows a failed attempt by Tomita to enforce a similar patent claim in Japan. Spring has begun, and with it comes warmer weather, longer days and all new downloadable content for “Dead Rising 4.” In “Dead Rising 4: Frank Rising,” Frank West has become the newest member of Willamette’s horde in an all-new single player story, releasing April 4 for Xbox One and Windows 10. “Frank Rising” explores what happens to Frank after an all-new outbreak in Willamette. Frank is infected and wanders the city beaten, bloody and driven only by a need to feast. When a former ally discovers him, he is written off as incurable. Luckily, he’ll find help from an unlikely resource. As Frank begins to recover he’ll need to race to find a permanent cure while developing all-new abilities and strength. Unfortunately, he can no longer eat food to stay alive and must feast on others to survive. 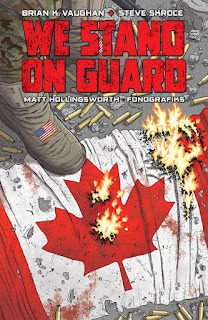 As he is trying to save himself, Frank learns that several survivors he cares about are trapped in the city with him and he must rescue them – and himself – before the government closes his case file for good and wipes the city off the map. 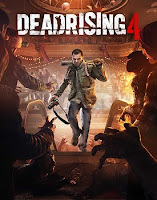 “Dead Rising 4: Frank Rising” is included as part of the “Dead Rising 4” Season Pass, which is available for purchase in the Microsoft Store. Players can also get the pack as a standalone purchase for $9.99 USD, or get the game and Season Pass together in the “Dead Rising 4” Digital Deluxe Edition. Spring also means it’s time to return to your favorite golf course. Once you’ve mastered the outbreak in Willamette it’s time to master the greens in “Super Ultra Dead Rising 4 Mini Golf,” coming soon for Xbox One and Windows 10. With multiple holes of pure wanton destruction, in “Super Ultra Dead Rising 4 Mini Golf” players will flip zombies the bird as they navigate the greens in the Willamette Mall and surrounding town. Unlock specialized golf clubs, costumes and balls as Frank West provides play-by-play commentary for swings, birdies, and shots. Collect Power-Ups to take the game to the next level and take out zombies with explosive style while keeping swings low and the kill count high. Hone course skills to perfection in single player, fight for the high score online in a 4-player multiplayer, or join friends in your living room with turn-based co-op. “Super Ultra Dead Rising 4 Mini Golf” is included as part of the “Dead Rising 4” Season Pass, which is available for purchase in the Microsoft Store. Players can also get the pack as a standalone purchase for $9.99, or get the game and Season Pass together in the “Dead Rising 4” Digital Deluxe Edition. If you haven’t had a chance yet to pick up “Dead Rising 4,” download the game from the Microsoft Store and play the first hour for free before you buy. Once you finish the game, help save Frank and return to the mall, mini golf style. We’ll be sharing more details on the release date for “Super Ultra Dead Rising 4 Mini Golf” soon. Happy Spring and Zombie Slaying! Fans that want to level up their Fire Emblem Echoes: Shadows of Valentia experience when the game launches exclusively for the Nintendo 3DS family of systems on May 19 can do so by picking up the game’s Limited Edition bundle, launching the same day. 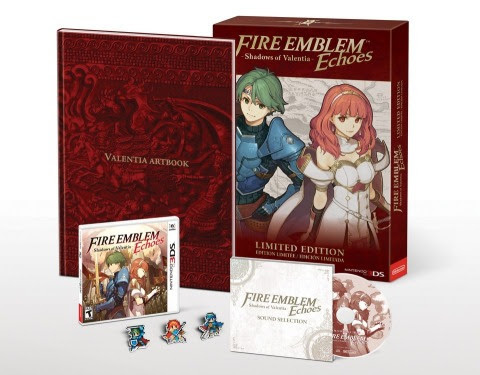 The Fire Emblem Echoes: Shadows of Valentia Limited Edition bundle includes the game; a hardcover Valentia Artbook; a Fire Emblem Echoes: Shadows of Valentia Sound Selection CD; a Fire Emblem Echoes: Shadows of Valentia Pin Set depicting characters Alm, Celica and Marth; and a reversible cover sheet that looks like the packaging for the original Famicom game this new one is based on. It will be available at a suggested retail price of $59.99 at select retailers. Also launching on May 19are the Alm and Celicaamiibo figures, available only as a set at a suggested retail price of $24.99. When used in the game, these amiibo will activate their own exclusive dungeons, allowing heroes to earn items and level up their armies further by defeating bosses. By selecting Mila’s Turnwheel from the menu on the overworld map, they will also be able to take advantage of their Alm and Celica amiibo in battle. During combat, players can sacrifice a portion of Alm or Celica’s health in order to summon a computer-controlled illusory hero, which will act as a temporary ally for a single turn. 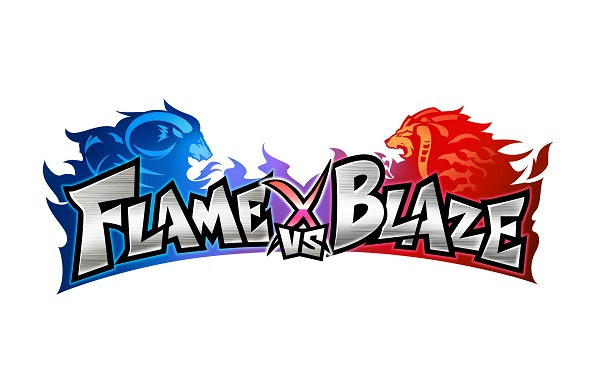 SQUARE ENIX® debuted the first English trailer for FLAME VS BLAZE™, the new MOBA (Multiplayer Online Battle Arena) title for mobile devices due to launch this year, providing MOBA fans and mobile gamers with a deeper look at playable characters, gameplay mechanics and other features. FLAME VS BLAZE expands on the global MOBA phenomenon of fast-paced, competitive battles between players, adding additional layers of gameplay through climactic boss battles and a colorful cast of fully customizable characters, each with their own special transformation. 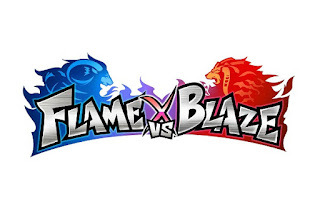 FLAME VS BLAZEfeatures an all-star development team, including Producer Hironori Okayama (KINGDOM HEARTS Unchained χ) and Director Yuji Abe (FINAL FANTASY® XIII series), with character designs by Gen Kobayashi (The World Ends With You®). Unique to FLAME VS BLAZE, players team up with up to two friends in 3-on-3 battles to destroy the opposing team’s reactor. Players can choose their own playstyle: enter the fray against fearsome monsters to make them your allies and bolster your base’s defenses, or go head to head against other agents and assault enemy territory. After a certain amount of time, the reactors come to life and commence a full-out attack against each other. Players must work together to communicate quickly, think strategically and maneuver the battlefield carefully to defeat the opposition. FLAME VS BLAZE will launch on mobile devices in 2017. The Legend of Zelda: Breath of the Wild is an action-adventure video game developed and published by Nintendo for the Nintendo Switch and Wii U. 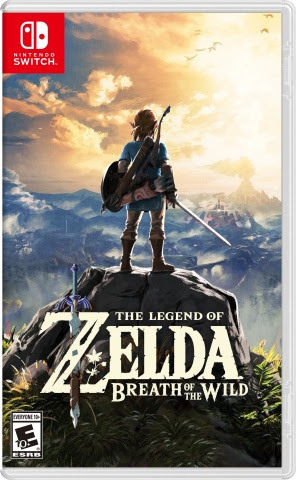 It is the 19th release in the main The Legend of Zelda series. Plot: History recorded the conflicts between Hyrule and Calamity Ganon, an ancient evil. Each time Ganon appeared, he was defeated by a Princess descended from the Goddess Hylia and as well as the Hero, a warrior. One of these legends occurred long ago in ancient times. During these ancient times, Hyrule was at peace as an advanced civilization. Using their knowledge of technology, they decided to prepare themselves for the return of Calamity Ganon. They created the Divine Beasts, four massive machines resembling animals, as well as an army of autonomous mechanical soldiers they called Guardians. Upon Ganon's return, the Hero, Princess, Guardians and Divine Beasts launched a direct attack on him. The Hero struck Ganon down with the sword that seals the darkness and the Princess used her inherited power to seal Ganon away. 10,000 years later, the kingdom of Hyrule had reverted to a medieval state. Upon reading the prophecies their ancestors had left behind, they learned the signs of Calamity Ganon's return and recovered the Divine Beasts and Guardians after excavating land throughout the kingdom. Key members of Hyrule's various races - Daruk, a warrior of the Gorons, Mipha, a princess of the aquatic Zora, Revali, the most skilled archer among the bird-like Rito, and Urbosa of the desert-dwelling Gerudo - were assembled to pilot the Divine Beasts and were given the titles of Champions. The Hero, the Princess, and the Champions attempted to stop the evil using the same strategy as their ancestors. However, Calamity Ganon appeared from beneath Hyrule Castle and took control of the Guardians and Divine Beasts, turning them against Hyrule. In the "Great Calamity" which followed, the King, Champions, and everyone in the Castle were killed, the castle town was destroyed, and the appointed knight was gravely wounded defending the Princess; the entire kingdom was utterly devastated. However, the Princess survived and faced Ganon alone, restraining him within the castle walls. In the present day, 100 years later, an amnesiac Link awakens from within the Shrine of Resurrection and that’s where your adventure begins. Open World: This is the first Zelda game that truly feels open world. You can do as much or as little as you want. It is totally up to you. When I first started playing the game the world was so huge that I did not really have a direction. As you play as Link you can try to recapture some memories or face the divine beasts or just run around aimlessly and ride horses. It is up to you where you want to go and I had to really stop and plan out what I wanted to do because it was up to me how the story would progress. Map: The map is blank. You start out with this little piece that you activated by climbing a huge tower in the great plateau. That is how you learn that across the land if you want to get that piece of the map you have to activate the towers in that section. Let me be honest there are a lot of sections of that damn map and sometimes you might run around for a bit to find the tower. You would figure the tower would be in the middle but in reality it could be anywhere in that section. It helps to look from one tower to see if you can find it and then mark it on your map. I only have one section of the map left to unlock and its one of the hardest but I will be trying for it soon. Each tower becomes a travel point which is good in helping you get from one side of the map to the other quickly. You will have to increase your stamina for some of them as you will have a long climb with little to no rest points in between. Overall I like that they broke up the map and had you work for every piece of it. Shrines: In this version of Zelda you do not have the major dungeons. Instead you have the Divine Beasts and Shrines. Shrines are often times a puzzle in which you have to ride the wind, move a switch, pick something up, etc to solve the puzzle to get a spirit orb. I love puzzles and having these in the game made it so enjoyable. There are about 120 shrines in the game so enjoy. 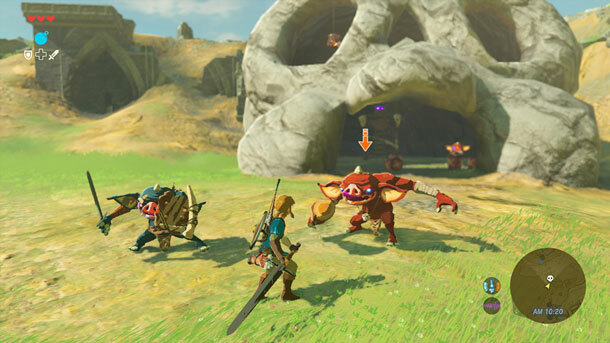 Divine Beasts: There are four divine beasts that you must wrestle control away from Ganon. Each beast is close to what a typical Legend of Zelda dungeon usually is. What I enjoy about it is that in each one there is a part of the beast that can be manipulated. Let’s take the Salamander like beast of the Goron’s. This beast can be turned on its side therefore you must solve part of the beast puzzle and then have to flip it to do something else and possibly flip it back to finish what you were attempting to do. I like that in this game you really had to think about what you were doing before just tackling the Beasts. Each beast has a “Ganon” type creature that you had to fight with different fighting forms as you beat it down so be prepared to change up your fighting style to defeat him. Weapons: We as gamers have become lazy and spoiled. There I said it. Breath of the Wild forces us to not just pick up the strongest weapon and beat the crap out of the enemy but instead plan out our attacks because weapons break. Yes you read that correctly you may be wailing away on a creature and then you are notified that you sword is about to break and then one more hit and it shatters. You only are provided with a set number of slots for Swords, Shields, and bows which you can increase but after that you are only able to carry a certain amount. I like that the game is a survival horror without the horror. Your weapons are not always going to be there to depend on and you need to think about that. I cringed when my Hylian shield broke but I appreciated it more once I got it back. There are a few weapons that can be repaired/replaced. The only weapon that truly does not break is the Master Sword but if overused will need to be rested to recharge. Basically only use the Sword against Ganon or Ganon like beasts and that’s it. Fighting: The fighting is pretty easy. The creatures become harder to fight as the game goes on so you will need to Z-Lock and use your shield. I was not doing this at first and was getting hit until I learned how to jump and dodge but I have always been a bruiser fighter when it comes to video games so it is nothing new to me. Cooking: This aspect is one of my favorites in the game. I enjoy that I do not have to get or buy elixirs or stews but instead I can walk over to a campfire and cook up some hearty vitals. You can make elixirs from Monster Parts and random creatures like lizards. Each creature can do something different and can give you a different type of elixir like for Stamina or Speed. The fun part is cooking food like meat and veggies/fruit and seeing what you come up with. I especially enjoy cooking items that restores your full hearts plus adds more. I have currently a few dishes that will give me 8 extra hearts which is amazing and recently I defeated a “Ganon” at one of the beasts and it came in handy let me tell you. There are so many different types of dishes that you need to just have fun and explore it. Characters: What you will enjoy most is that a lot of the characters actually talk. Don’t worry Link still only grunts and exclaims and that’s about it. Frankly I don’t want him to ever talk. If they make a live action movie he should go the whole movie without saying a word. 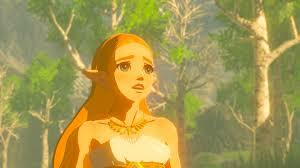 What gamers will enjoy most I believe is that you really get to know Zelda and see how expressive and passionate she is. I think that is what truly makes this game wonderful. These are my thoughts of the game thus far. I think it is definitely up there in terms of the best version but I am hesitant to say it beats OOT. The open world aspect and the broken weapons really make this game enjoyable and I am not even all the way through. I have my Master Sword and Hylian shield and I am ready to save Hyrule. Set in the Pacific theater during World War II, this vertically scrolling shoot 'em up tasks players with battling through the entire enemy fleet. Shoot down enemy planes, avoid enemy fire and perform rolls and loops to avoid certain death in this epic nail-biter from the past. 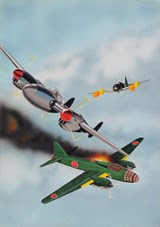 Take control of a vintage warbird and challenge the enemy's air power. Dodge fierce enemies and set your sights on a 100% kill rate. Failure is not an option. Escape from the jaws of death with a well timed barrel roll. 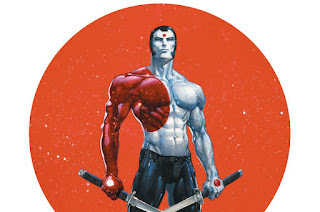 As revealed at Multiversity Comics, Valiant is proud to announce RAI: THE HISTORY OF THE VALIANT UNIVERSE #1 – an astonishing standalone tale revealing the saga behind Valiant’s greatest heroes and villains from prehistory to the 41st century! 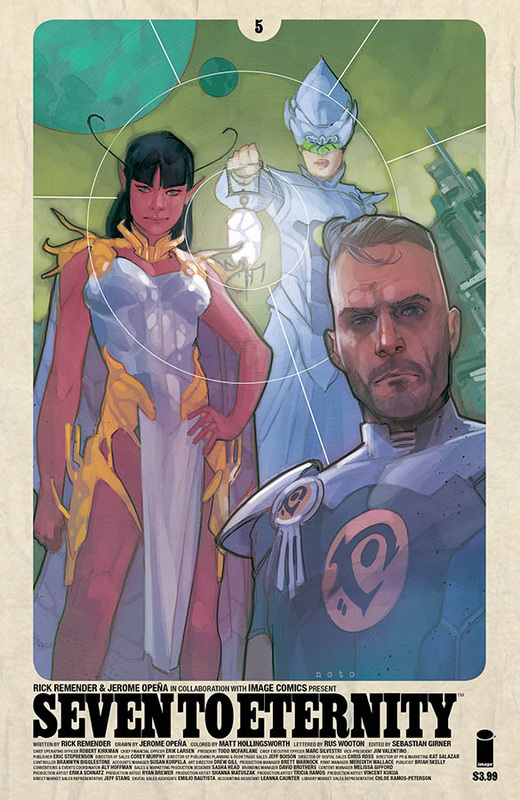 On June 14th, traverse the long and storied history behind the rise of Earth’s most formidable heroes with multiple Harvey Award nominee Rafer Roberts (Harbinger Renegade) and acclaimed artist Francis Portela (Faith) as they present a stunning overview of Valiant’s centuries-spanning universe. Inspired by the original, legendary RAI #0, this self-contained one-shot special is the ultimate introduction to the historic moments that will forever define the Valiant Universe…past, present, and future! Rai, the spirit guardian of Earth, has uncovered an ancient tome filled with history’s greatest tales and civilization’s darkest moments. Charting the dawning days of ancient Mesopotamia all the way to the rise of New Japan, the history of the Valiant Universe is laid bare in shocking and revelatory detail. From X-O Manowar to Bloodshot to Faith to Divinity...history will reveal untold revelations for Valiant’s greatest heroes and antagonists! SEVEN TO ETERNITY #5 Cover A by Opeña and Hollingsworth, Cover B by Noto , Cover C by Albuquerque, and Cover D Silver Foil hit stores on Wednesday, April 12th. Minecraft Fallout Battle Map Pack: Available Now for Console Editions! 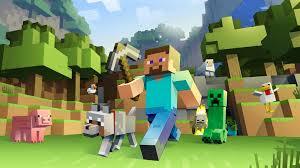 The new Minecraft Fallout Battle Map Pack for Console Editions! It includes three Fallout-themed maps for Minecraft’s Battle Mini game is available now or only $2.99. Fallout Battle Map Pack: Available Now for Console Editions! The worlds of Fallout and Minecraft are colliding again with today’s release of the new Minecraft Fallout Battle Map Pack! These Battle mini-game maps will have you battling on the boardwalks of Libertalia, wrecking each other in the ruins of Capitol and surviving the onslaught in the General Atomics Galleria. The world may be a wasteland, but war never changes! The most fearsome villain in the entire galaxy returns for an all-new series! Today, Marvel Entertainment and Lucasfilm Ltd. are pleased to announce a new beginning for one of the most popular Star Wars™ comic book series! 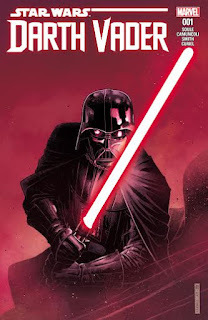 This June, prepare for DARTH VADER #1 – the all-new ongoing series coming to a comic shop near you! 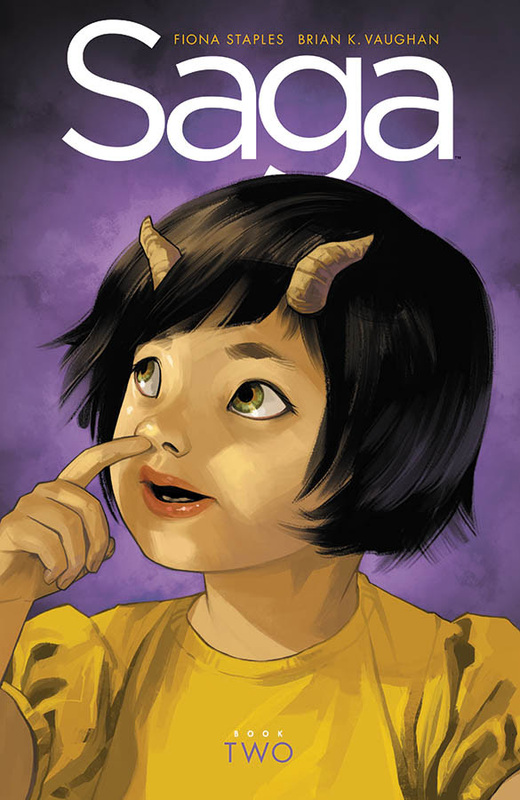 Superstar writer Charles Soule (Poe Dameron, Astonishing X-Men) will team with chartbusting artist Giuseppe Camuncoli (Amazing Spider-Man) to chronicle the epic rise of one of the greatest villains in all of fiction! Dropping Fall 2017, the First-of-its-Kind Music Mixing Game Features Songs by Afrojack, Bruno Mars, The Chainsmokers, Ed Sheeran, Fall Out Boy, The Jackson 5, Meghan Trainor, Sam Hunt, and many more. Hasbro, Inc. (NASDAQ: HAS) announced the September 2017 global launch of DROPMIX™, an all-new dynamic and fast-paced music mixing game. Developed in collaboration with legendary and award-winning video game developer Harmonix Music Systems, Inc., creators of Rock Band and Dance Central, DROPMIX uses cutting-edge technology that empowers players to create unique mixes of songs by playing cards on a game board connected to a mobile app. The game consists of an electronic DROPMIX Board, DROPMIX Cards, and the DROPMIX app, which will be free to download on the App Store for iPhone and iPad and on Google Play for Android devices. The DROPMIX cards feature some of the biggest hits in Pop, R&B, Dance, Indie, Country, Rock and Hip-Hop from around the world that players can combine in unexpected ways. 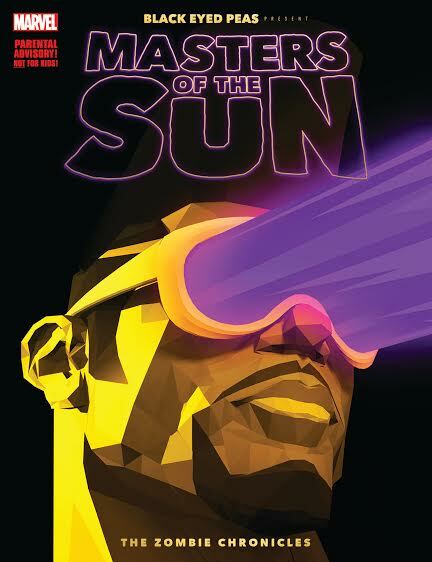 DROPMIX features hit songs from globally renowned artists and award-winning producers including, “Take Over Control” by Afrojack (ft. Eva Simons), “24K Magic” by Bruno Mars, “Closer” by The Chainsmokers” (ft. Halsey), “Sing” by Ed Sheeran, “Centuries” by Fall Out Boy, “I Want You Back” by The Jackson 5, “All About That Bass” by Meghan Trainor, “House Party” by Sam Hunt and many more. When a DROPMIX card is placed on a Mix Slot, the electronic DROPMIX Board immediately starts playing the corresponding part of the song (bass, beat, loop or vocals) noted on the card. The board reads up to five DROPMIX Cards at time and the groundbreaking software in the app seamlessly combines the music within each card to create a unique mix. The DROPMIX cards include NFC chips; a technology commonly used in smartphones with digital wallets. The DROPMIX Music Gaming System, which includes an electronic DROPMIX Board and 60 DROPMIX Cards across multiple music genres, will be available at major retailers and online in September 2017 for the suggested retail price of $99.99. In addition to the 60 DROPMIX Cards in the Music Gaming System, Hasbro will release Playlist Packs with 16 DROPMIX Cards for the suggested retail price of $14.99 and Discover Packs with five DROPMIX Cards for the suggested retail price of $4.99. The additional cards will be released on an ongoing basis throughout 2017 to allow players to collect and curate their own custom decks and create new and unexpected soundtracks each time they play. With 300 DROPMIX cards available in 2017 and millions of possible music-mix combinations, DROPMIX provides unlimited fun. 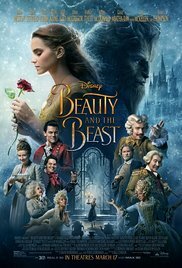 Hollywood's obsession with remakes and reboots can get damn right annoying (even if they do hit the mark every once in a while) but the live action version of Beauty and The Beast is not a remake or reboot in the traditional sense – it is more an homage to the 1991 classic Disney animated film. There was little attempt to play with the story line and some camera shots are reproduced exactly like the original. From going around the web forums, I noticed that this copycat style irked some people, but I believe Disney was extremely clear with their intentions about what this film would and wouldn't be way before we got the first teaser trailer – it was a live action version of a animated film we all cherished – their attention to detail in the replication was astounding and I was very happy with the result. There are some extra layers to this movie that the original animated film didn't have, though, mainly in how it rounds out some of the characters. Belle is still charming but there is the shadow of her mother's death which surrounds her and adds a slight sadness to her smile. Her father also come off as more than just a weird village dweller, especially when the film explores how he came to be a single father. Gaston was also more three dimensional and interesting than in the animated movie – his adoration from the village as well as his manic episodes are better explained and seem to both spring from his time in the war. The Beast was the character that I felt could have had a few more layers – the animated version allowed him to have many more facial expression (especially in the eyes) and bits of dialogue to express his growing affection for Belle and his own uncertainty about his future if the spell were to remain on his castle forever. Beast's enchanted helpers were also more endearing in the Disney cartoon due to the animator's ability to add extra facial quirks – the CGI versions are a bit harsher and gives the castle a more somber mood. 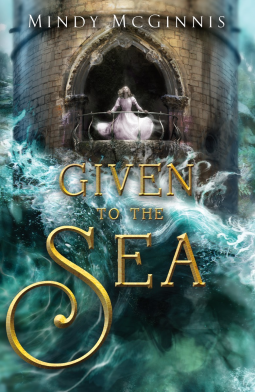 I felt this was a directorial choice though – the animated movie made the castle servants all too cheery for such a dire situation – these versions were still hopeful but understood what the spell could mean for them in the end. They had the emotional edge that the Beast lacked in this version. These are minor gripes though and it in no way affected my level of enjoyment for the finished product. 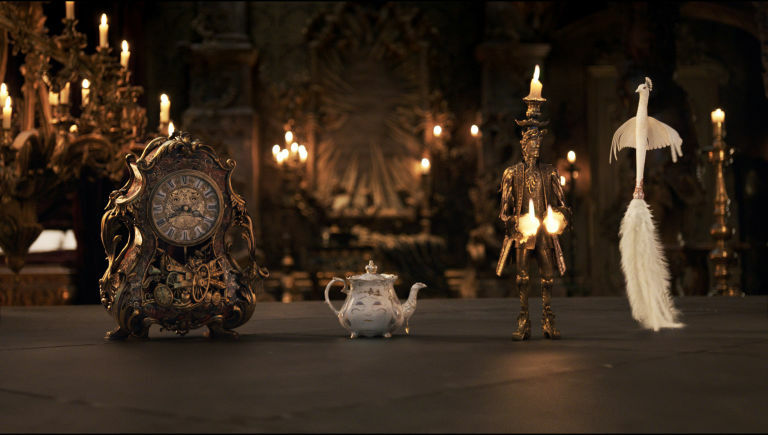 Beauty and the Beast is beautifully filmed, sung, acted, and produced. The classic numbers sounded crisp as ever and the new songs (though not as grand) didn't take anything away from the stand-bys. The movie was made with its heart worn on its sleeve. 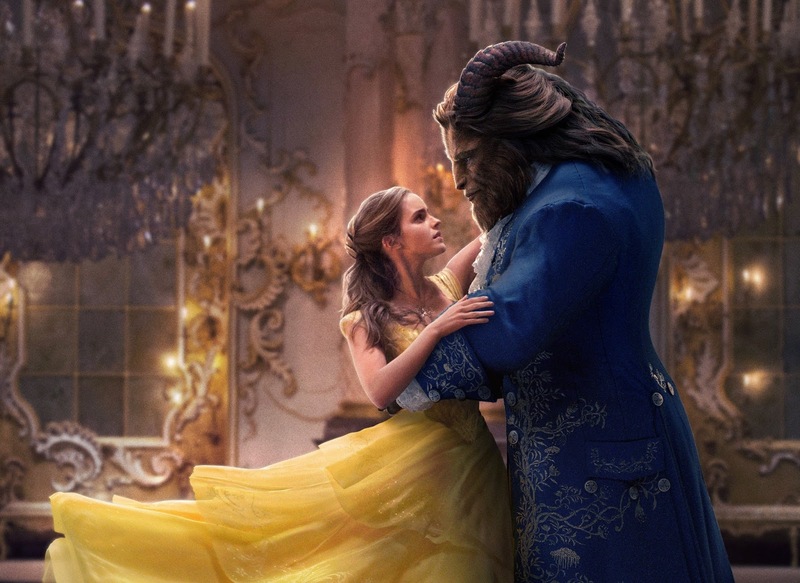 Much like last year's surprise hit musical, La La Land, Beauty and the Beast didn't try to upgrade anything or modernize their dance numbers – they kept to a traditional musical script and banked on the audience's love for the original production and a the desire that any movie goer has to enter a movie theater to be marveled. I enjoy this non-cynical approach because I am too much of a cynic – and I also wonder now if the traditional musical won't slowly make a come back as audiences are proving that they are more than willing to spend money to watch these spectacles. Although the movie has a few bits that lag towards the middle – as both Beast and Belle are afforded visual expositions about their past instead of dialogue which builds character – these scenes are short and set piece after set piece remind us of how Disney cares about their audience and their creative property. If you loved the original animated film you will be dazzled – if you think a near shot for shot reproduction is unnecessary you may still come away smiling. I highly recommend this film for an older generation and a newer generation alike. Following the highest-rated two-episode debut in OWN: Oprah Winfrey Network history, Warner Bros. Home Entertainment brings you Queen Sugar: The Complete First Season. From award-winning filmmaker Ava DuVernay and executive producer Oprah Winfrey, the series tells the story of the Bordelon family, as three estranged siblings return home after a family tragedy forces them back together. Queen Sugar: The Complete First Seasonwill be available May 30, 2017 on DVD for $29.98 SRP. The full first season of Queen Sugar: The Complete First Season is already available to own on Digital HD via purchase from digital retailers. Contemporary drama Queen Sugar chronicles the lives and loves of the estranged Bordelon siblings in the fictional town of Saint Josephine, Louisiana. 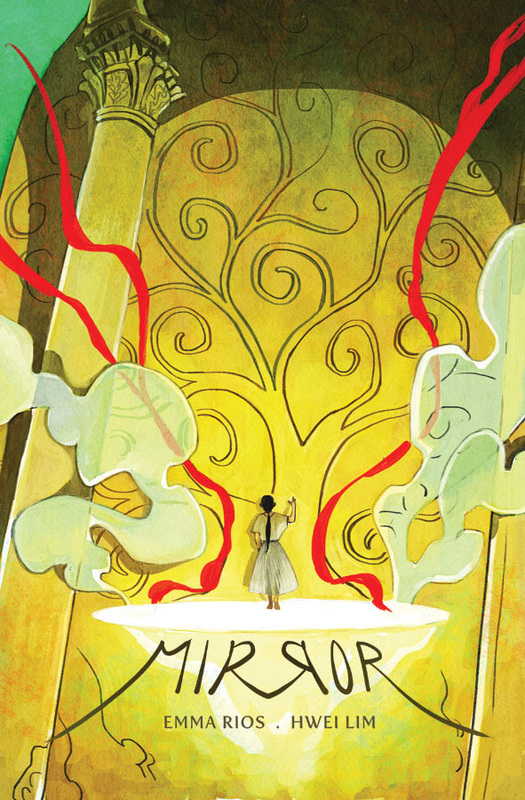 After a family tragedy, the Bordelons must navigate the triumphs and struggles of their complicated lives in order to run an ailing sugarcane farm in the Deep South. Starring Rutina Wesley (True Blood), Dawn-Lyen Gardner (Unforgettable), Kofi Siriboe (Awkward), Omar J. Dorsey (Rizzoli & Isles), Dondré T. Whitfield (Middle of Nowhere), Timon Kyle Durrett (Single Ladies), Nicholas L. Ashe (Custody), Greg Vaughan (Lucifer, The Closer), Ethan Hutchison (The Path), Marycarmen Lopez (Book of Ruth) and Tina Lifford (South Central), the drama begins as Charley (Gardner), a savvy woman living an upscale Los Angeles lifestyle, returns to her family home and reunites with her siblings, Nova (Wesley), a world-wise journalist and activist and Ralph Angel (Siriboe), a formerly incarcerated young father in search of redemption. Their newly inherited farm forces the siblings to rely on one another as they rebuild both the land and their relationships.Queen Sugar: The Complete First Season brings all the renowned first season’s powerful family moments set to an original music score created by 10 time Grammy nominee, Meshell Ndegeocello. The brain-child of Winfrey and DuVernay was so highly anticipated, Queen Sugar was renewed for a second season even before the series premiered. 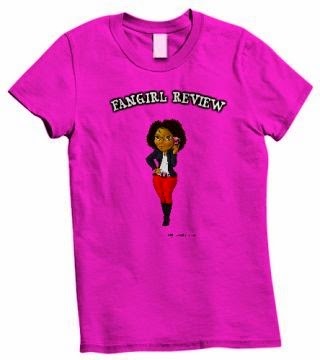 Based on Natalie Baszile’s best-selling book,Queen Sugar lived up to its predicted success with 2.4 million viewers tuning in to the September 2016 two-night premiere, a network record. Valiant is proud to announce RAPTURE #1 (of 4) – a spellbinding standalone event from New York Times best-selling writer Matt Kindt (X-O Manowar, Mind MGMT) and explosive artist CAFU (Rai)! 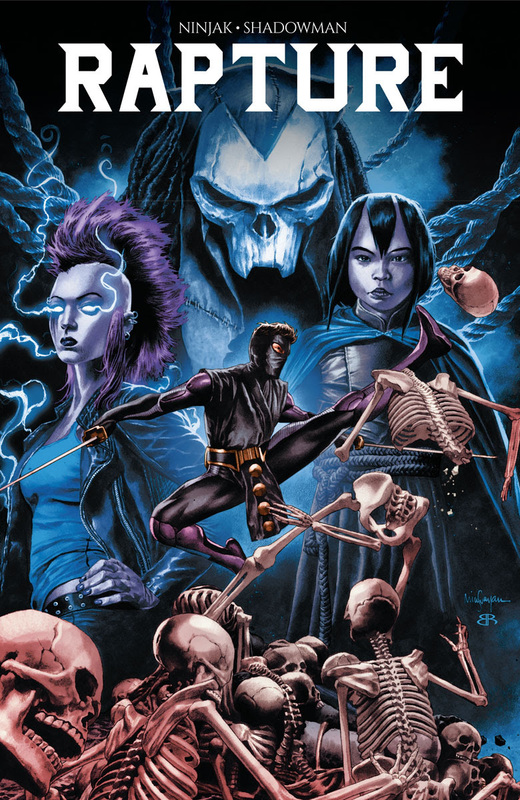 In the epic tradition of THE VALIANT, the fallen hero once known as Shadowman returns to the forefront of the Valiant Universe to unite with the most unlikely ally of all – seasoned MI-6 intelligence operative Ninjak – for an epic quest into the unknown! 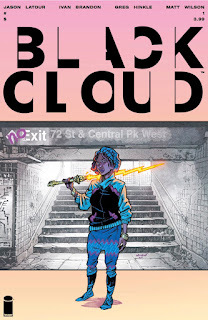 Jesse “Street Angel” Sanchez, of webcomic fame, will grace/deface a full-color hardcover graphic novel for the first time this April, from the Eisner Award-winning creative team of Jim Rugg (The PLAIN Janes, Afrodisiac) and Brian Maruca (Afrodisiac). Sanchez is a kung fu master on a skateboard and a homeless orphan failing seventh grade. In STREET ANGEL: AFTER SCHOOL KUNG FU SPECIAL, Jesse takes the Ninja Kid to school! Her fists are the facts and his face is the report card! Meanwhile, Saturday night's the big dance and Jesse doesn't want to go! Is love in the air? No. No, it’s not. Jim Rugg describes STREET ANGEL as "a cross between the A-Team, a xenomorph, and Lacey Baker. She loves food, fist fights, hanging out with friends Bell (a robot), Lilith (Satan's daughter), and Emma (a zombie), skateboarding, candy, pizza, nutraloaf, grilled cheese, General Tso's, french fries, beer, chips, moon pies, Twinkies, sandwiches, hamburgers, hot dogs, tacos, pancakes, spaghetti, mac & cheese, peanut butter, BBQ, wings, soda..."
Brian Maruca says "STREET ANGEL puts the fun back into being an orfun." 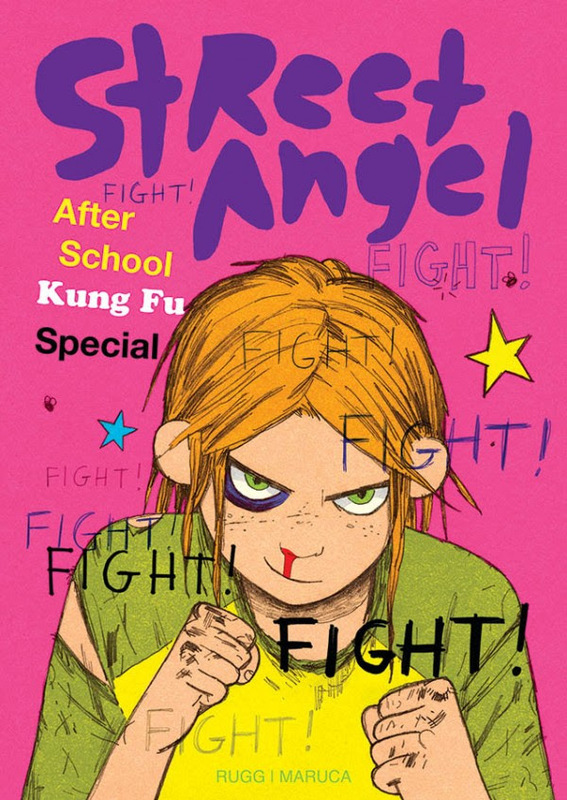 STREET ANGEL: AFTER SCHOOL KUNG FU SPECIAL HC (ISBN: 978-1-5343-0287-7) hits comic book stores on Wednesday, April 26th and bookstores on Tuesday, May 2nd. 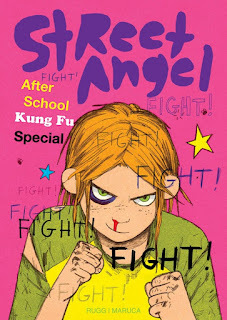 STREET ANGEL: AFTER SCHOOL KUNG FU SPECIAL HC is available for preorder via Amazon, Barnes & Noble, Indiebound, and Indigo. 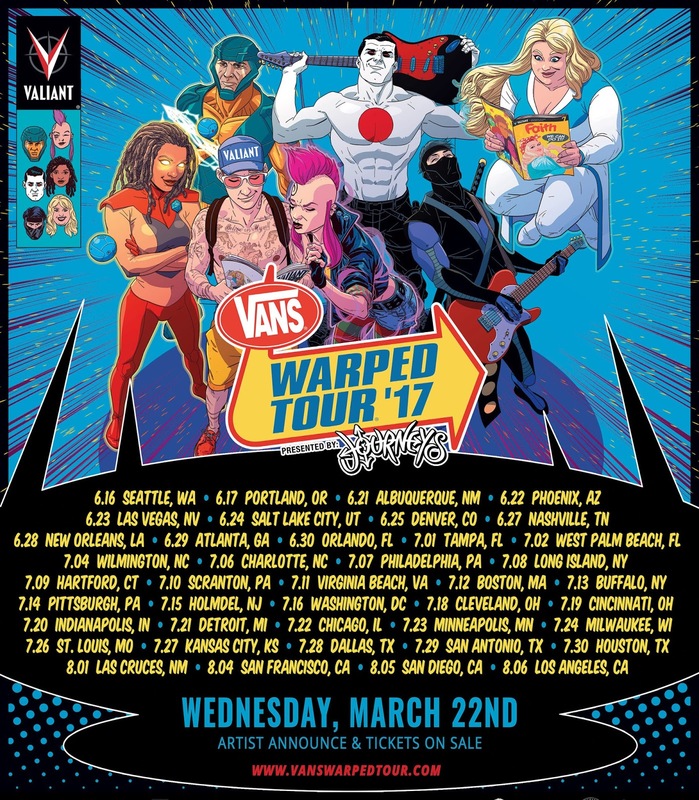 The Vans Warped Tour® presented by Journeys® and Valiant Entertainment today announced a new partnership to bring Valiant’s award-winning library of comic book superheroes on the road with America’s longest-running touring music festival for an immersive collaboration spanning the summer 2017 season. 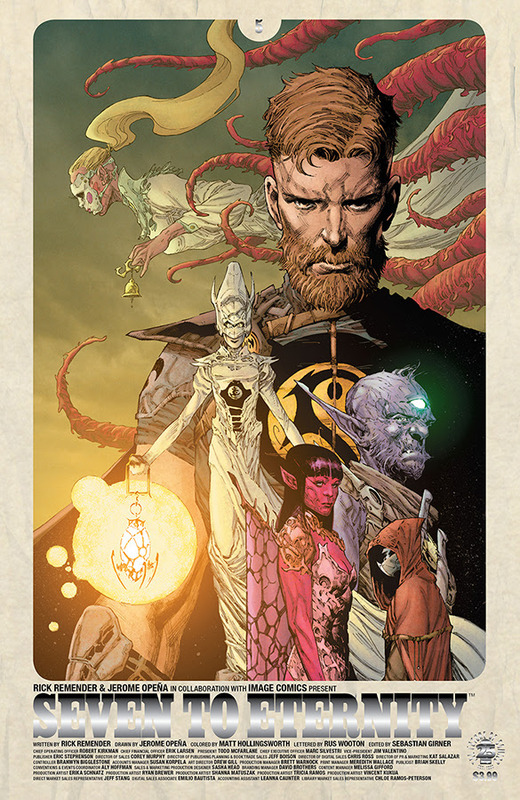 As revealed at Entertainment Weekly, multiple fan-favorite characters from Valiant’s 2,000-plus-strong library will make Warped Tour history as the centerpieces of the 2017 tour’s “comic book” theme. 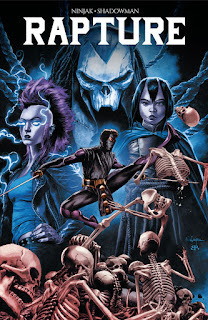 All summer long, Valiant’s most iconic heroes – including X-O Manowar, Faith, Bloodshot, Livewire, Ninjak, and more – will adorn posters, promotional pieces, merchandise, and more at over 40 tour dates across the United States. The 2017 Vans Warped Tour® artwork was designed by acclaimed Valiant comic book artist Kano. "For 23 years, the Vans Warped Tour has been such a great platform for bands, brands, and creative minds,” said Vans Warped Tour® Founder Kevin Lyman. “It's always fun to be able to do collaborations, and this partnership with Valiant Entertainment is very special from a creative standpoint." “This is a groundbreaking partnership on many levels, and we’re honored and excited to call the Vans Warped Tour our newest partner,” said Russell A. Brown, President of Consumer Products, Promotions & Ad Sales for Valiant Entertainment. “The Vans Warped Tour is an institution, and comics are the next logical extension of their hugely influential footprint. There's a huge reciprocity between music and comics, and we were happy to find that there are just as many fans in their camp as there are in ours. We look forward to doing awesome things together in 2017 and beyond." The entire lineup for 2017's Vans Warped Tour®, presented by Journeys®, will be released on Wednesday, March 22nd.